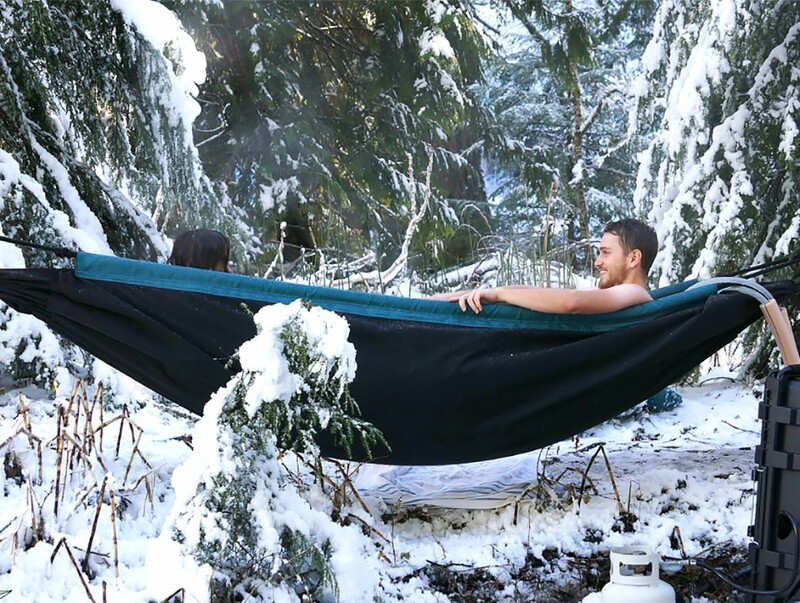 Flexible and portable, this hanging hot tub hammock can be suspended from trees or other supports or tucked into scooped-out depressions along sandy beaches or on snowy mountainsides, compact enough to be checked on a plane with its associated portable heating unit. 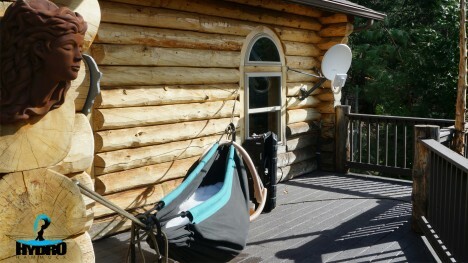 The highly-mobile Hydro Hammock requires only 20 gallons (less than half of a typical bathtub and supports use by two adults to be used as a hot tub and can be used to line existing voids or suspended in midair. 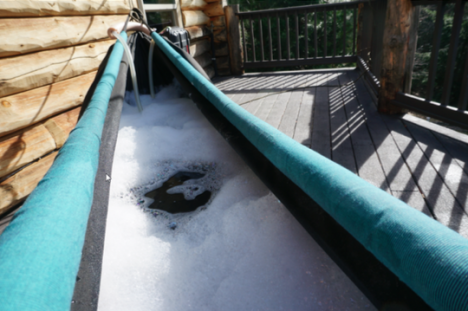 An accompanying device pumps water from wherever it is available and heats it electrically along the way – an eventual goal for future models is to use solar heat so no batteries or other external power source will be required. The extra-durable, high-tensile-strength material supports up to 700 pounds and its canvass-like surfaces give it traction for users. 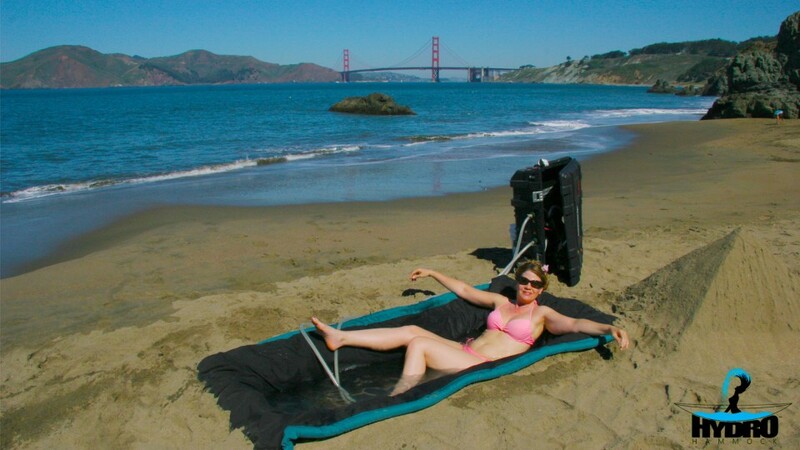 Aside from its core function as a hot tub, the heavy-duty fabric and associated pump can be reconfigured to turn the system into an outdoor shower or left empty and simply used as a traditional hammock. 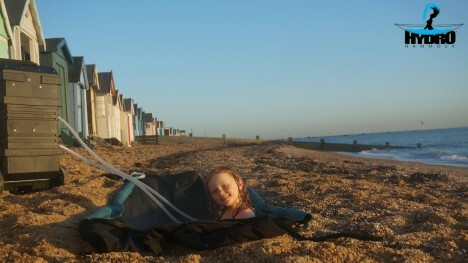 Its primary target audience, however, is people who wish to have a retreat from extreme environments, taking a hot (and optionally: bubble-filled) vessel with them for breaks from cold ocean waters in the summer or freezing outdoor temperatures in the winter.